Plastic semiconductor components fabricated by EPTAM meet or exceed the critical requirements of the semiconductor industry. Polymers such as HDPE, Delrin, ECTFE, VESPEL, PVDF, and PEEK are key solutions. EPTAM's clean, climate-controlled manufacturing center is the right place to produce critical components for the semiconductor industry. Designed exclusively to support the needs of our customers, the center manufactures chemically resistant materials to exact tolerances and geometries. EPTAM's best-in-class technology is backed by our Advanced Semiconductor Polymer Design Engineering Support for DFM with FMEA practice. EPTAM understands the significance of a machined plastic solution for the semiconductor industry. EPTAM is experienced with all engineering aspects of plastic semiconductor materials, including thermo-sets, thermo-plastics, and high-altitude / high-temperature (HPHT) materials. EPTAM engineers will help you determine the best plastic material to meet the thermal, strength, wear, and non-corrosive requirements of your semiconductor application, taking into account the other chemicals and materials to which it may become exposed. A large inventory of raw materials ensures a quick response to customer requirements. Plastic components fabricated by EPTAM meet or exceed the critical requirements of the semiconductor industry. Polymers such as HDPE, Delrin, Teflon, Techtron, Ultem PEEK and VESPEL are just a few of the materials used to machine semiconductor components with exacting tolerances. 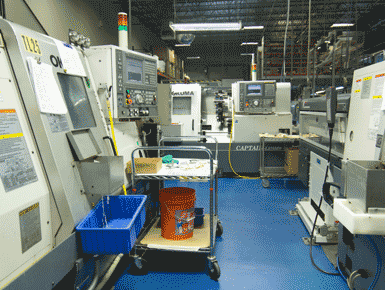 EPTAM's Manufacturing Center employs dedicated 3, 5, and 7-axis plastics-machining capabilities, along with dry-machining techniques or wet bench coolants that will not contaminate or chemically attack plastic parts as oil-based fluids may. EPTAM's dedicated engineering and quality resources only enhance our focus on the critical requirements of the industry. 7- and 5-axis plastics-machining capabilities employ dry-machining techniques that will not contaminate or chemically attack plastic parts. To support our unique plastics manufacturing capabilities, EPTAM is ISO 9001:2015 certified. 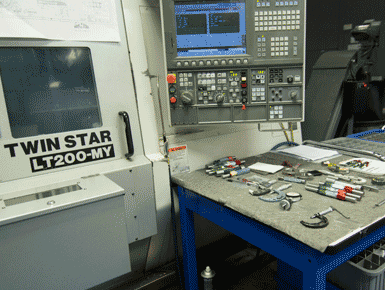 Continue here for a complete list of our Manufacturing Capabilities.